Lee Ann is pleased to announce the release of her latest recording via Listen 2 a Book. 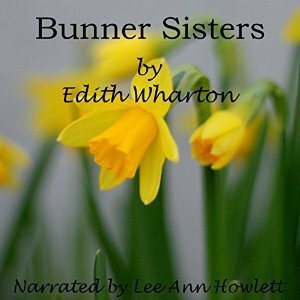 Another classic by Edith Wharton — Bunner Sisters. Ann Eliza and Evelina Bunner are two unmarried sisters who own a small notions shop in a shabby section of New York City circa 1900. The older sister, Ann Eliza, buys a small clock for her sister’s birthday from a tiny shop and meets the owner, a German immigrant named Herman Ramy. Once Mr. Ramy enters their lives, things begin to change in ways that neither sister could have imagined. What seems like a simple story is one of love, longing, selfishness, self-sacrifice, missed opportunities, and the unfairness of life for poor women, particularly those over 30 during this period. Posted by lahowlett on February 12, 2016 in Uncategorized and tagged American literature, Audible, audiobooks, classics, Edith Wharton, Listen 2 a Book.